Good faith. It’s not just for the pews on Sunday morning. When it comes to employment relationships, businesses and organizations of all kinds, it is essential that all parties act in good faith. That is, everyone should operate with honesty and integrity. This means being fair and sincere in word, action and intent. Bad faith is bad for business. Both employers and employees have a duty to act in good faith towards one another at all times and in all regards of their employment relationship. As the 1997 case of Wallace v. United Grain Growers determined, good faith is even required during terminations. Wallace Damages are concerned with how an employer handles a dismissal, not the dismissal itself. They are named for the 1997 Supreme Court of Canada decision in Wallace v. United Grain Growers Ltd. The case established that employers owe their employees good faith and fair dealing in the way they handle dismissals. 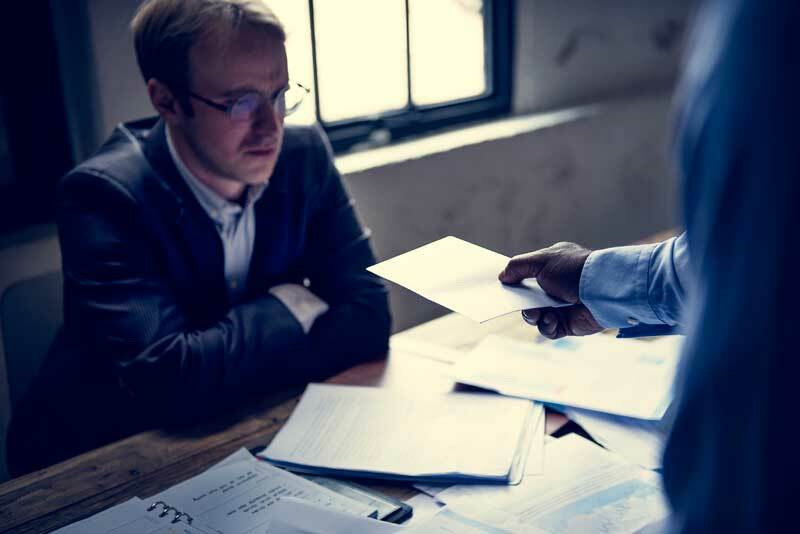 When employers fail to behave appropriately, an employee may have their notice period extended as compensation for any mental distress caused by their poorly-handled dismissal. Wallace Damages can be awarded in addition to damages for wrongful dismissal. In 1972, at the age of 46 Mr. Wallace was hired by United Grain Growers as a salesperson. He took the job after repeated assurances of competitive compensation and a job that would take him through to retirement. These assurances were important to Mr. Wallace as he was leaving a secure position with another company and did not want to find himself looking for a job again as he approached retirement. After 14 years of employment at United Grain Growers – during all of which he was the top salesperson – Mr. Wallace was unexpectedly dismissed without explanation. In his statement of claim, Mr. Wallace said that he has been wrongfully dismissed. United Grain responded that Mr. Wallace had been terminated for cause. This was not corroborated by his sterling sales record. Therefore, this assertion caused Wallace a great deal of mental distress to the point that he sought psychiatric help. Meanwhile, now 58 years old, Mr. Wallace struggled to find comparable employment. The trial judge awarded Wallace 24 months’ salary in lieu of notice for wrongful dismissal and another $15,000 in aggravated damages for his mental distress. While the Court of Appeal reduced Wallace’s damages to 15 months notice and eliminated the $15,000 aggravated damages, the Supreme Court of Canada ultimately restored the trial judge’s 24-month notice period though not the $15,000 in aggravated damages. For a time, Wallace damages were applied quite liberally. It became common practice to sue for Wallace damages if an employer behaved less than gentile during a dismissal. However, the 2008 case of Honda Canada v. Keays established a means for courts to determine if the damages should be applied. Honda Canada v. Keays established that employees must demonstrate both that their employer acted in bad faith during dismissal and that this behaviour resulted in damages towards the employee. Dismissed employees now have a burden to demonstrate that the dismissal caused their distress. Increasingly, courts have found that while an employer may have acted in bad faith in their manner of dismissal, the former employee did not suffer genuine damages as a result and are therefore not entitled to Wallace Damages. Employers should always be respectful when terminating an employee. Regardless of the circumstances of the dismissal, employers should show regard for their employee’s dignity, treat them fairly, and conduct themselves in an honest and open fashion. If you have been dismissed and your employer’s conduct towards you in the dismissal process has caused you undue mental or emotional harm, call the employment law experts at KCY at LAW today to book your consultation and see what we can do for you. Call us to book your consultation at 905-639-0999 or fill out our online form here. https://www.kcyatlaw.ca/wp-content/uploads/2018/11/Wallace-Damages.jpg 534 800 Kathy Chittley-Young https://www.kcyatlaw.ca/wp-content/uploads/2018/01/KCY-at-LAW.svg Kathy Chittley-Young2018-11-16 08:44:522018-11-16 08:46:53What are Wallace Damages?